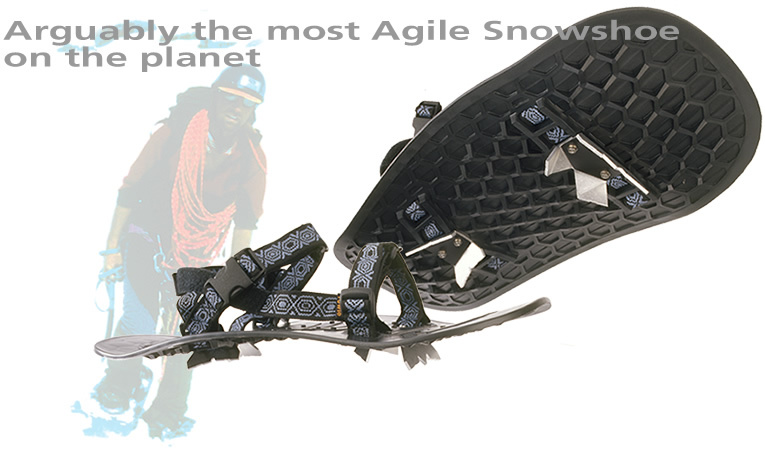 Yowie snowshoes were designed, fittingly, in Australia. They look like beach sandals attached to rubber flippers with a deep hexagonal tread and metal cleats. Extremely versatile and user-friendly, once you’re strapped in, with body weight nicely spread out to avoid sinking, you can enjoy snow walks on the flat or more challenging treks up and down mountains. The material reportedly offers better insulation from the cold than more conventional heavy-duty snowshoes. They are also lighter, cheaper and easier to stow in your ruck sack. Another idea is to use ice grips – unobtrusive devices you can attach to your usual footwear to radically increase traction on slippery surfaces.